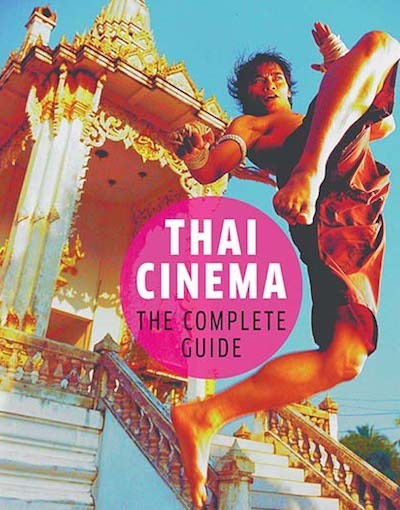 Thai Cinema: The Complete Guide, edited by Mary J. Ainslie and Katarzyna Ancuta, is the first full-length book in English devoted to the Thai film industry. It includes reviews of 129 films, organised by genre, effectively establishing a Thai cinema canon. (Since 2011, the Thai Film Archive has also been compiling a registry of culturally significant films, with new titles added annually every 4th October.) The book also profiles ten key directors from Thai cinema history. There are entries for classics such as Rattana Pestonji's Black Silk (แพรดำ), the Mitr-Petchara blockbuster Monrak Lukthung (มนต์รักลูกทุ่ง), the influential modernist film Tone (โทน), Chatrichalerm Yukol's social-realist His Name Is Karn (เขาชื่อกานต์), Nonzee Nimibutr's Dang Bireley's and Young Gangsters (2499 อันธพาลครองเมือง), the retro melodrama Tears of the Black Tiger (ฟ้าทะลายโจร), Apichatpong Weerasethakul's Tropical Malady (สัตว์ประหลาด), Anocha Suwichakornpong's Mundane History (เจ้านกกระจอก), and the record-breaking Pee Mak (พี่มาก..พระโขนง). One notable absence is Criminal Without Sin (สุภาพบุรุษเสือไทย), which (for better or worse) established the 16mm live-dubbing mode of production. In their introduction, the editors note the challenges facing anyone researching Thai cinema: many films, from classics to relatively recent titles, are no longer in circulation; and English translations of names and titles are wildly inconsistent. The book is therefore an essential guide to films that remain largely inaccessible. To address the translation problem, RTGS is used throughout the book, though this is not an ideal solution, as it's not widely or consistently used by other sources. Aside from Thai Cinema, there are very few English-language books on the subject. Bastian Meirsonne edited a brief guide with the same title (Thai Cinema). Scot Barmé's Woman, Man, Bangkok includes a chapter on the origins of Thai filmmaking. Aliosha Herrera surveyed the 16mm era in the journal Rian Thai (เรียนไทย; volume 8). Archivist Dome Sukwong wrote the coffee-table book A Century of Thai Cinema. The essays by Chalida Uabumrunjit and Anchalee Chaiworaporn in Film in South East Asia (edited by David Hanan) remain the best narrative histories of Thai cinema.